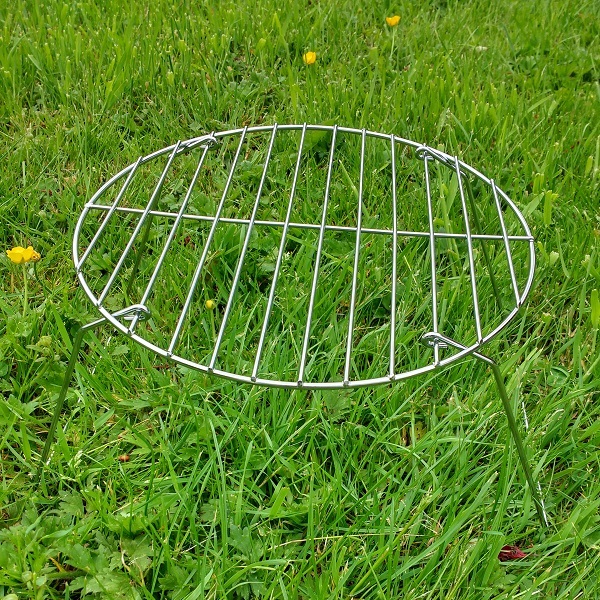 This lightweight grill stand is specially designed for the EcoGrill. Great for camping trips. This a lightweight grill stand designed for the Ecorill. It made of chromum plated steel and weighs in at only 230g. It can be used on it's own to cook food directly over the EcoGrill or combined with our Cooking Pan to extend the range of food that can be cooked. EcoGrill not included - sorry!